Howdy! 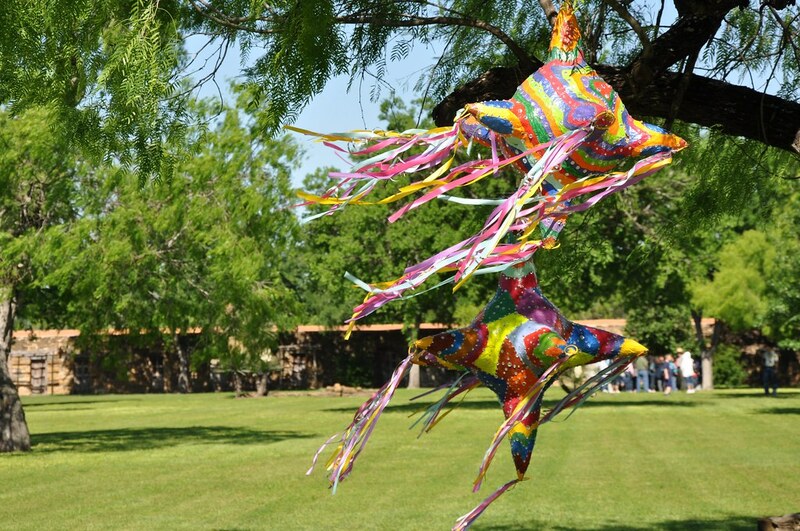 Well, I'm back from my whirlwind tour of central Texas with 40 fourth graders. I have my sewing machine back and my finger feels just about normal again. Life is good! I have to share just a few photos from my trip since I am such a proud Texan. I know my family (who read my blog and never comment) will appreciate them. 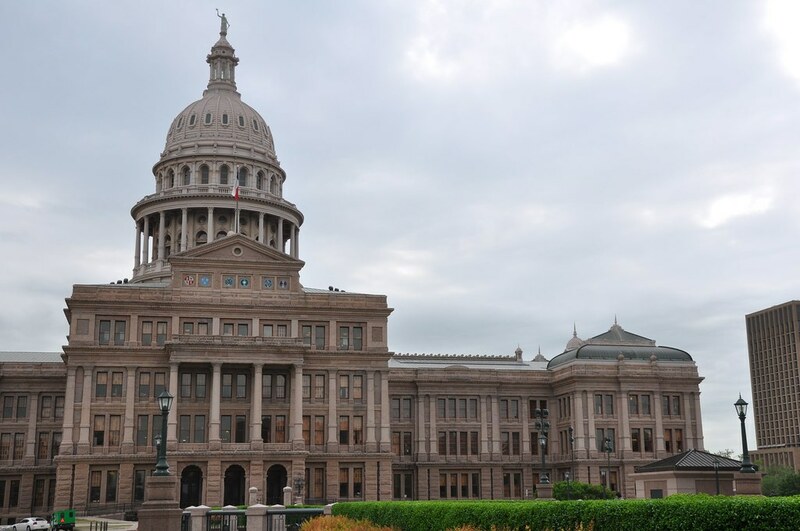 Our first stop was the Texas State Capitol. This is view from the east side. 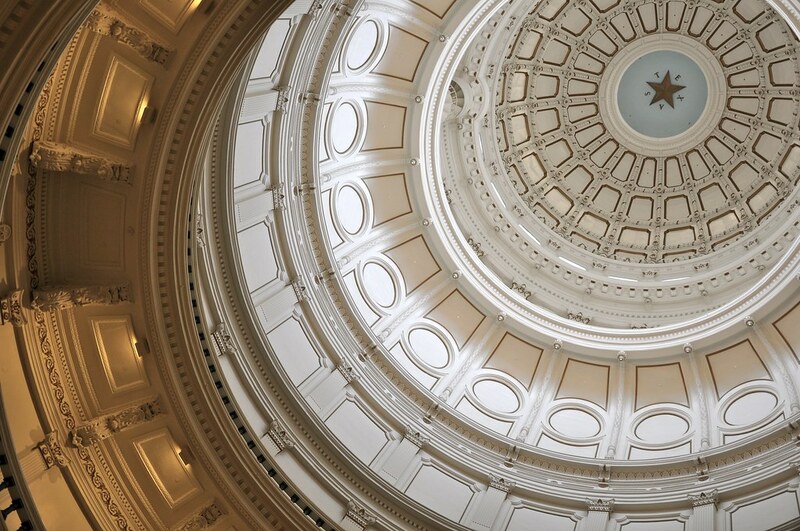 Since everything is bigger in Texas, our state capitol is the largest in the United States. It's not the tallest, Louisiana has that honor, but it is taller than our nation's capitol. 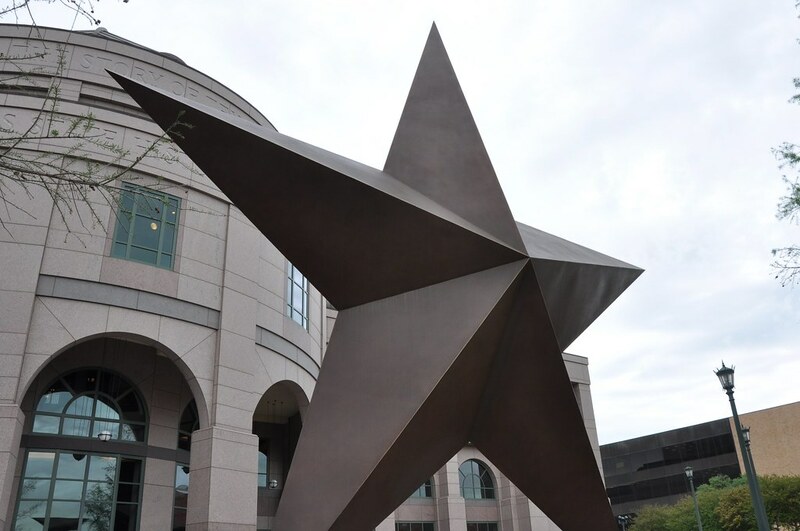 We visited the Texas State History Museum in Austin, and then headed south to San Antonio. Out first stop in San Antonio was Mission San José y San Miguel de Aguayo, founded in 1720 when Texas was under Spanish rule. 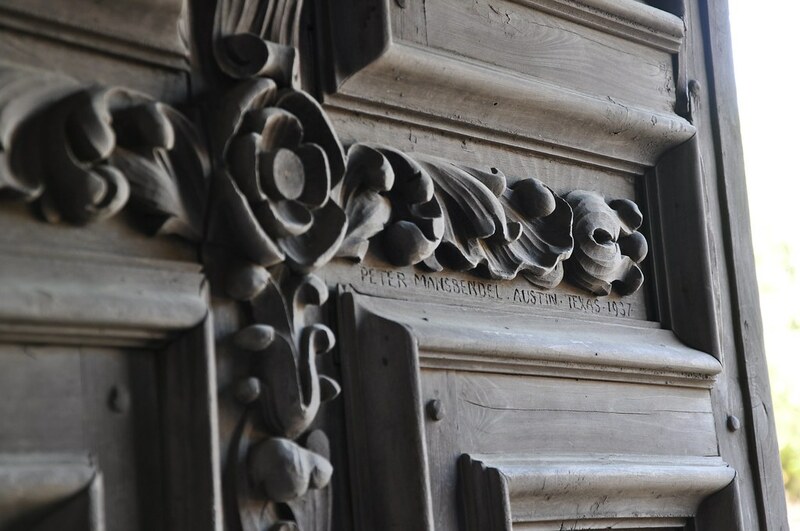 I loved how the doors around the mission were numbered. 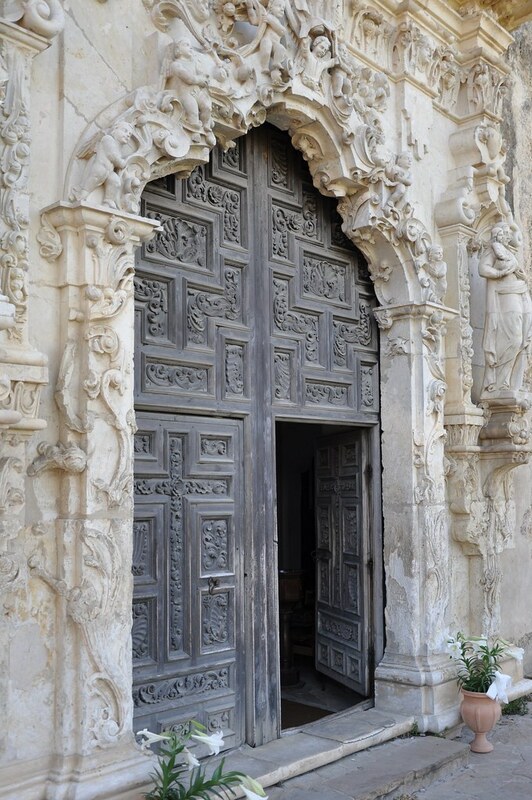 The doors of the church at the center of the mission and their beautiful Baroque facade. 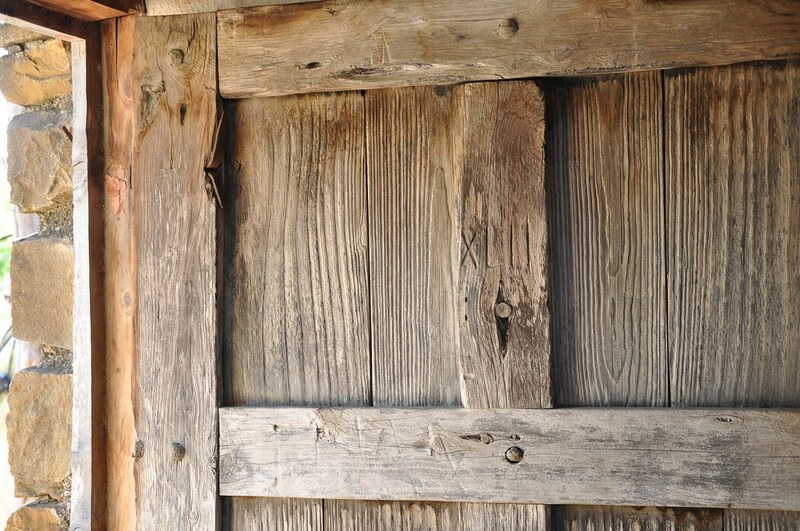 These gorgeous hand carved wood doors were made in 1937. The church was finished in 1782. 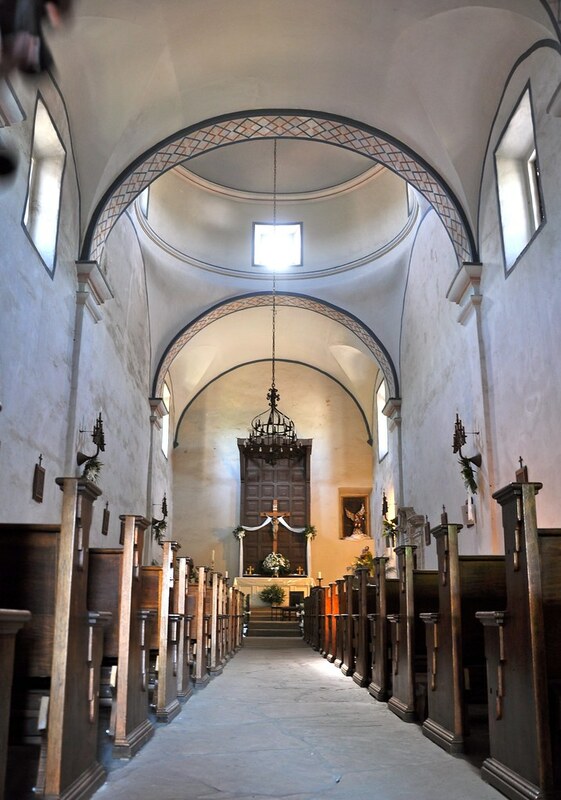 The inside of the Mission San José church which still holds weekly mass. 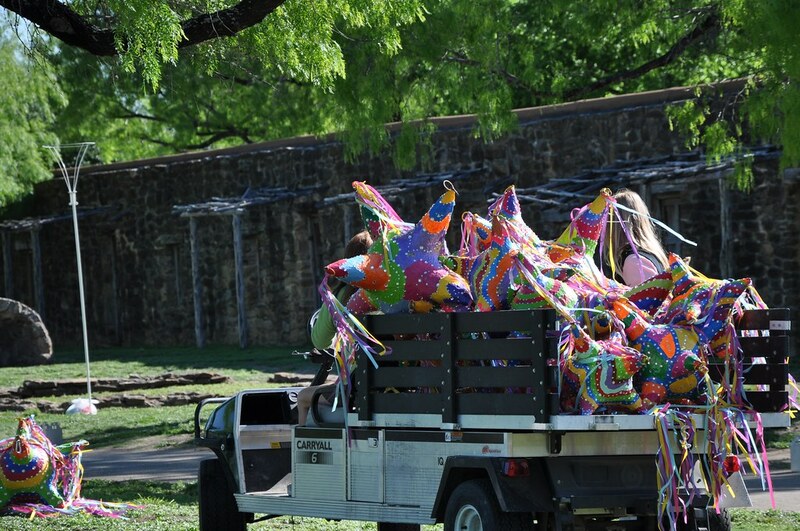 The mission grounds were being prepared for their annual gala and fundraiser (which is the reason I have no photos of the famous Rose Window). 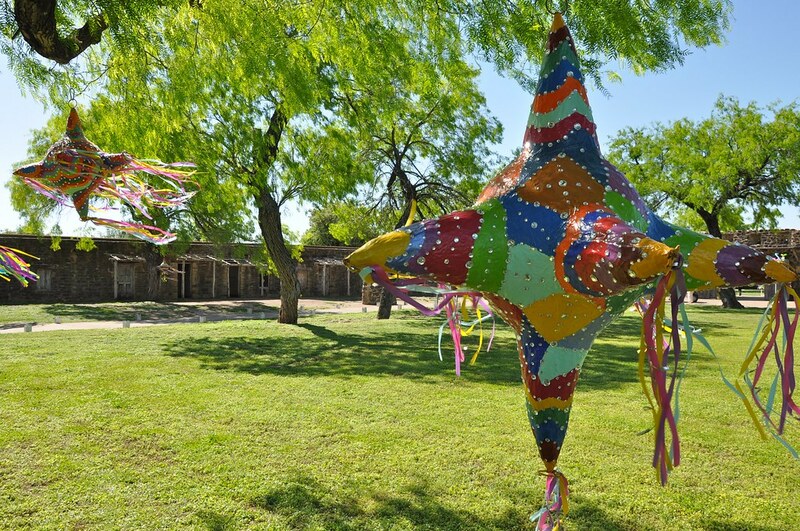 Workers were hanging these gorgeous piñatas all throughout the mission. I could not stop photographing them. I want one for my house! On to the Tower of the Americas in San Antonio. It was built for the world's fair in 1968. 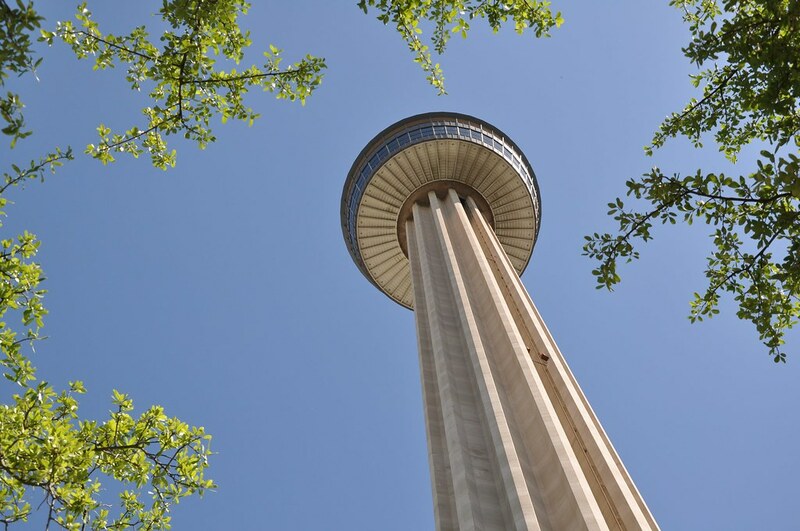 A glass elevator ride to the top of the 750 foot tower provides beautiful views of San Antonio. 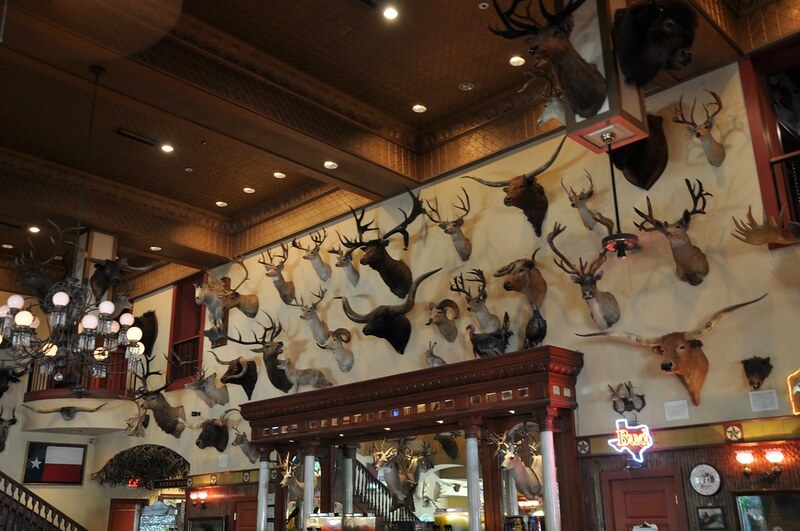 A hamburger lunch and tour at the Texas Buckhorn Saloon & Museum. This place is true Texas all the way. 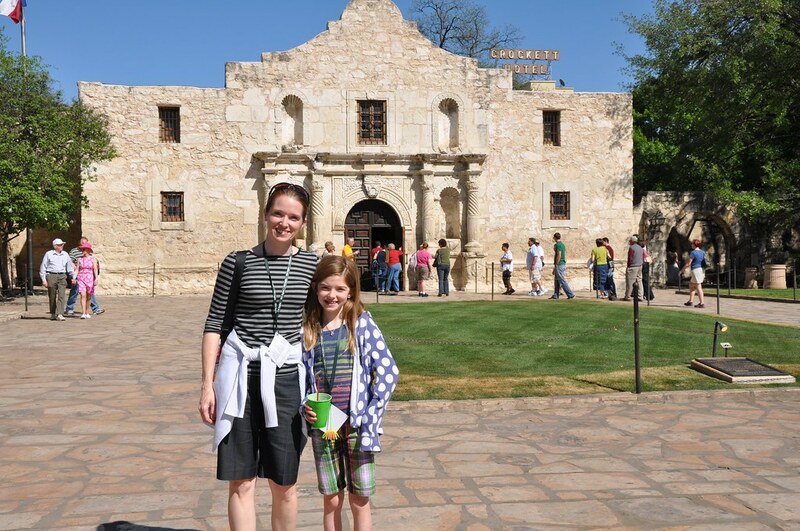 Our obligatory photo in front of the Alamo. When you tour the Alamo (as I'm sure is true of all historic battlegrounds), you really do feel as if you are standing on hallowed ground. 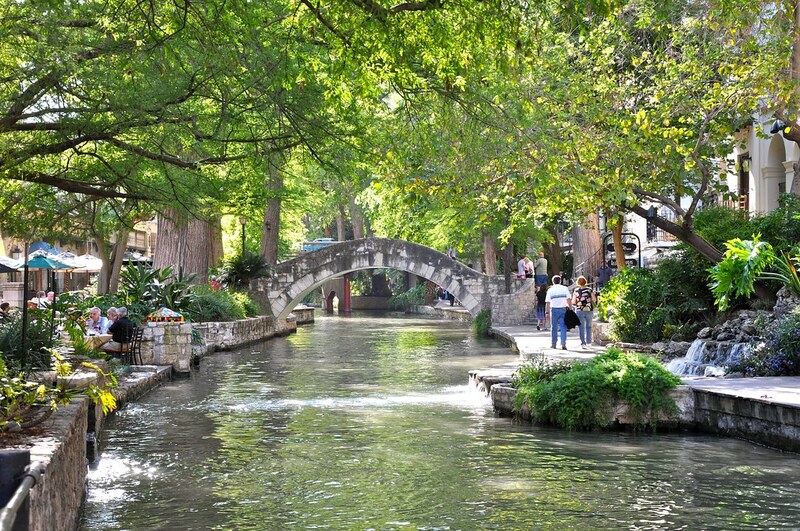 A riverboat tour and dinner on the gorgeous and historic San Antonio Riverwalk. I'm a Coke fan, but I didn't tell them that at the Dr. Pepper Museum in Dr. Pepper's birthplace, Waco. They claim to have the largest collection of soft drink memorabilia in the world. The old fashioned soda fountain Dr. Pepper wasn't too bad I guess. 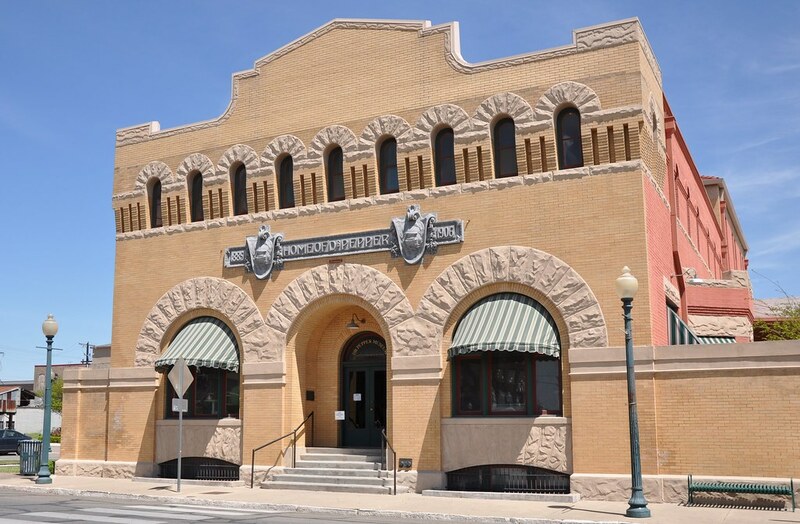 Our last museum was the Texas Ranger Hall of Fame and Museum in Waco. It was interesting. They have a lot of guns in there. A lot of guns. I wasn't sure how much room I would have on the bus, so I didn't take the ripple afghan. Turns out, it's become too large to be portable, especially with all the necessary yarn skeins. 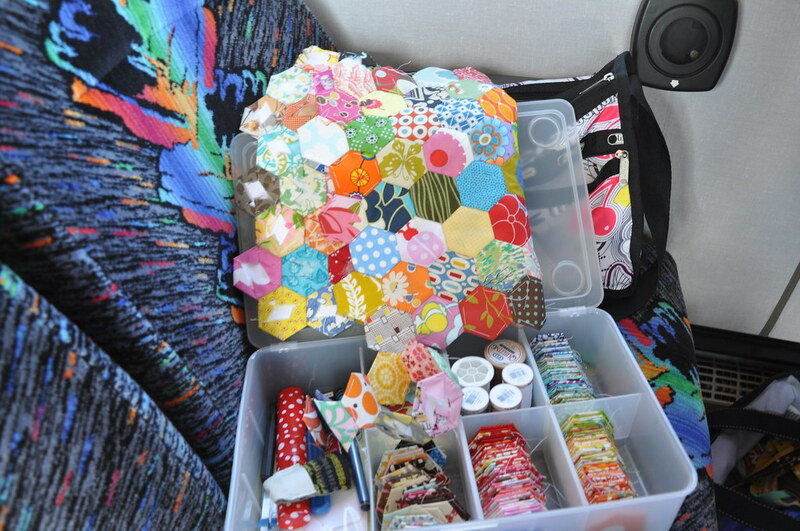 So, I took the hexagons and pieced them on the bus where I had a row all to myself. A few of the girls enjoyed being able to pick the next random hexagon for me to attach. Thanks for letting me indulge in a little Texas pride, partner. Have a wonderful weekend! You made me homesick for south Texas, especially San Antonio. What a great time of year to be down there. My mother was from SA and we went EVERY year to visit relatives. Oh I love those "boots" at NorthStar Mall up on I-410. Did you get to stop at the outlet malls at San Marcus. Oh man! I am so homesick. Thanks for the pics. I am homesick of sorts as well... We lived in the Houston area for over 7 years but visited the Alamo many times (I have a print of it in my bathroom) and I have a photo of the capital dome also (I loved the hinges that said Texas)...and we went to one of the sung masses at the missions, too. Thanks for the memories. too bad you could not take the afghan on the trip, so big and colorful - i would have loved to see you in that little bus seat, surrounded by its goodness and decorated with lots of yarnballs :-) !! What a wonderful trip! 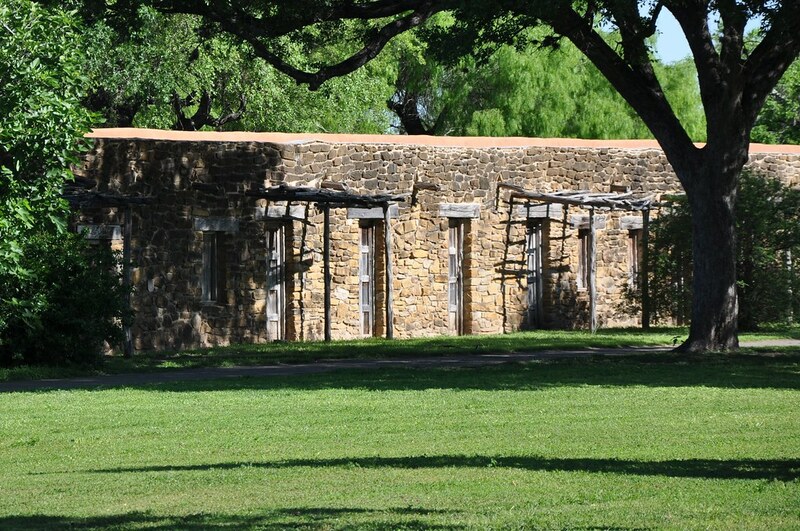 I have been to Texas several times, and liked it, most recently to San Antonio. I stayed along the river and checked out the Alamo too. Thanks for sharing this great trip! So cool to see that. How fun to see your hexagon project on the bus! Howdy Melanie, Thank you for sharing your beautiful State with us - and you should be proud! 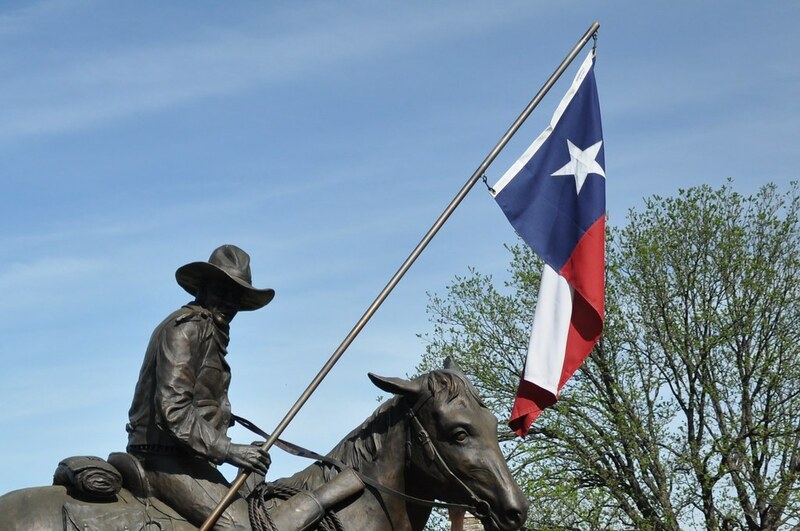 I always feel proud about Texas and I am a Born and Bred Brit living (retired) in Oxfordshire! You have inspired me to start hexagons - I have only ever done larger ones so these small ones will be a challenge. I stumbled upon your site through updates I get from A Few Scraps which lead me to Sew Katie Did then to you! I love your fabric choices, your quilts and your ideas and posts on gardening, planners and more! I'm a Texas girl as well, from Fort Worth and all my family is still there. I'm a Navy wife so I have been gone for 16 years :( This post made me want to go back desperately and take time for my home state! My children have never toured around, only been to see family. 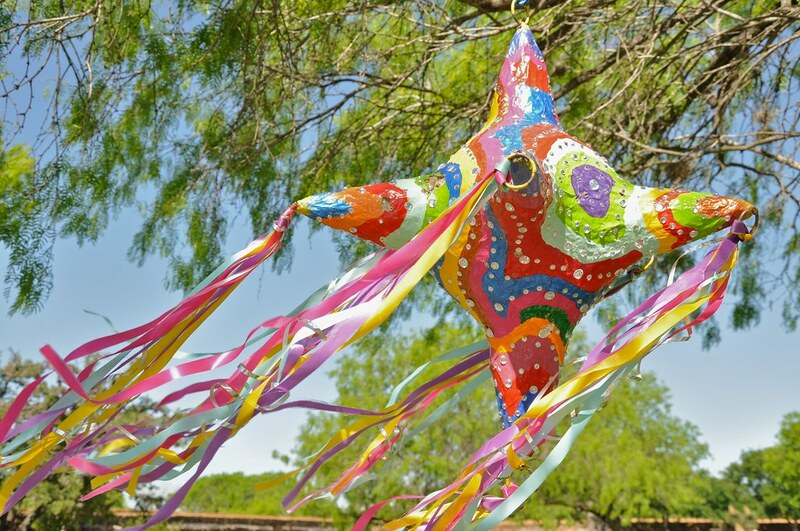 Thanks for this blog and the many pictures and places and crafts you do. You have inspired me to make my own planner since I am not a digital person and now I NEED to go home and take time for some site! Keep it up and if you have classes, I would love to attend a quilt class the next time I'm home! I stumbled upon your site through 2 other quilting bloggers that I follow. 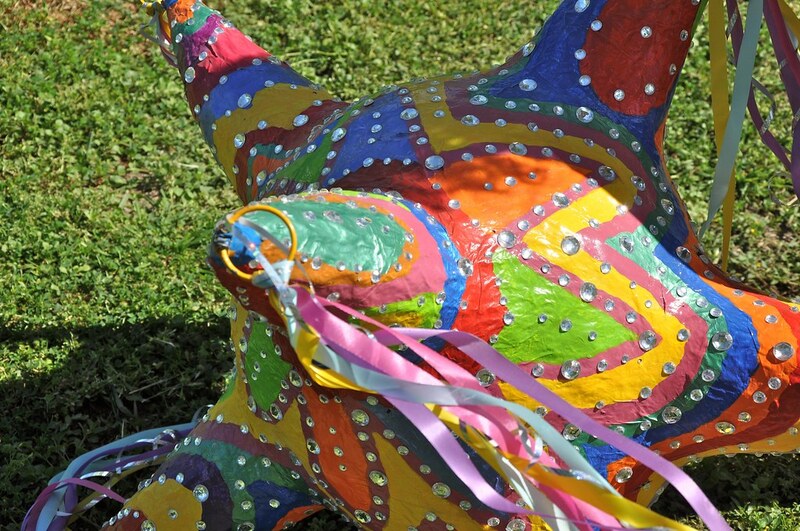 Love your ideas, colors of fabrics and your pictures and posts! I am also a Texas girl, I am from Fort Worth, and all of my family is still there! I am a navy wife so I have been gone for 16 years now :( and this post made me so homesick and at the same time made me upset that I have not taken the time to expose my boys to the beautiful things that Texas has to offer! 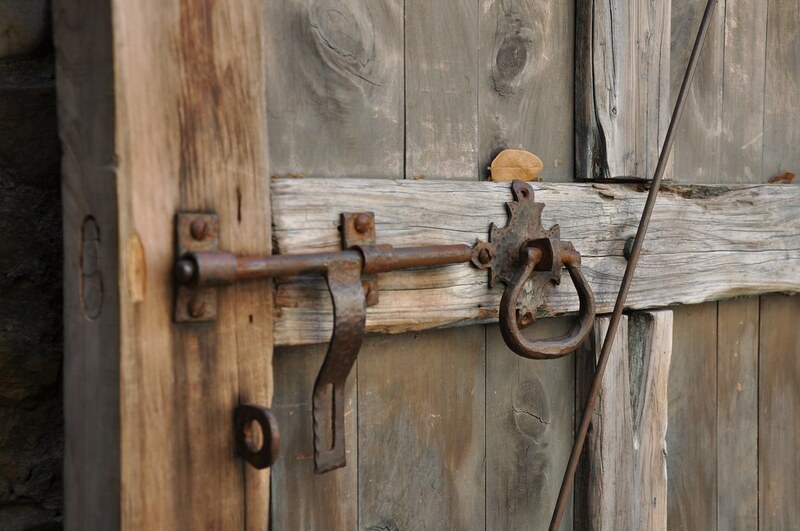 Great post and I love the sites you went to! Oh, love your planner idea....I am not a digital girl at all and have to have a calendar and notebook. Great tips on that too!